In September Disneyland Paris has again some great pins. 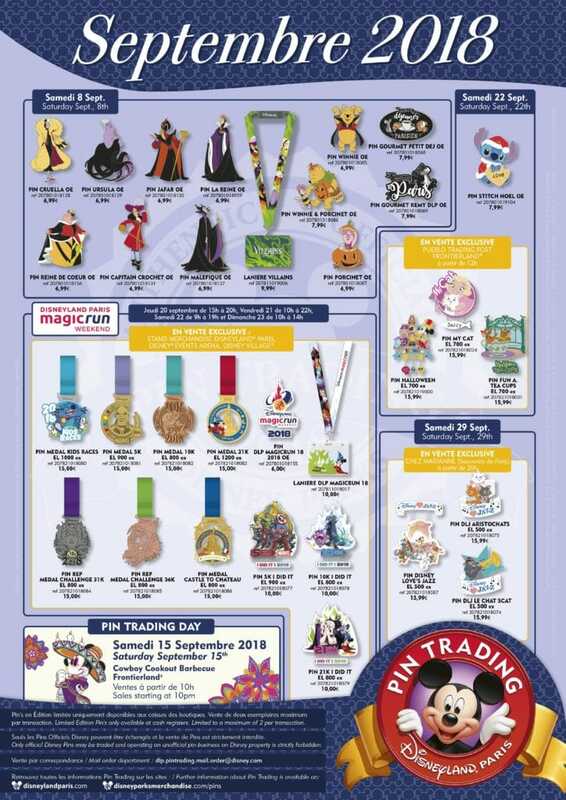 This month many pins are released for the Magic Run Weekend. But also Halloween fans will be able to get their hands on some great pins! During Dapper Dan on September 15, a Pin Trading Day will be held at Cowboy Cookout in Frontierland. This is next to the Pueblo Trading post.